I hated Mondays but now I quite like them. And what about you? Do you like Mondays? Anyway, this week's reminder is about being nice and encouraging kindness. I'm sure you like when people are nice to you and so do I but how often are you nice? And how often am I nice? How often do you say good morning to random people? Well, I know that I don't do it as much, but I also know that when I do, I feel good. How many times do you smile at someone? I don't do it as much too but when I do, I feel good. So why not make more nice things? They make me feel good and probably make others feel good too. I love when people smile at me or when some asks about how I'm doing, but I don't do those things that often because I think that some people may not like it. I'm constantly thinking how people would react. And if they don't reply to my good morning? And if they find it awkward me smiling to them and they don't smile back? And if someone doesn't want my help? I've been thinking that I should do these and others things without expecting a positive response. 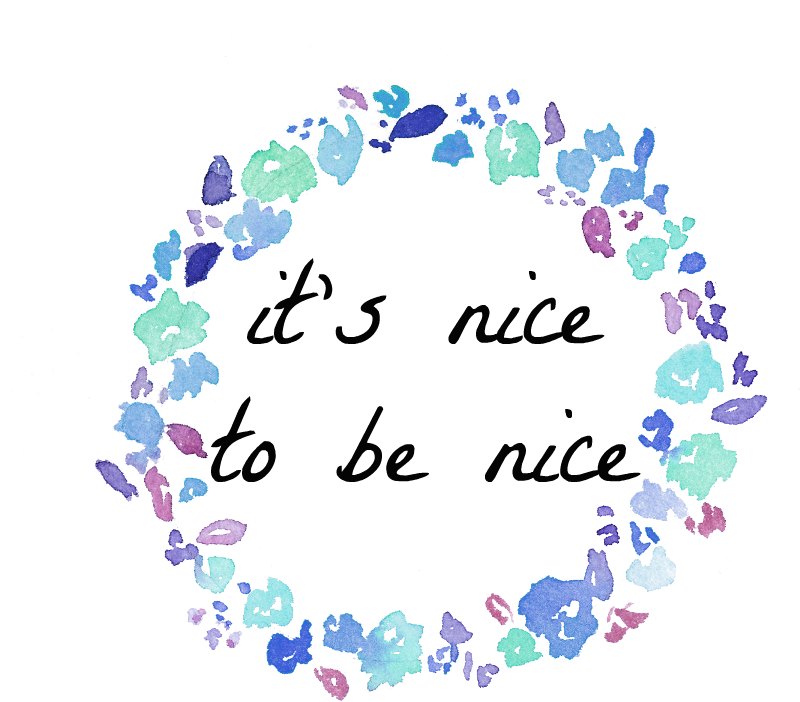 So from now on I'll try to be nice just because I can and if people appreciate it good, if not, well, that's ok. Simple things like saying 'thank you', holding the door for someone, smiling or treating yourself right, are a way to be nice but we can often forget them (I'm guilty too). But smalls acts of kindness can make a big difference! So let's all be nice and spread positive acts. Who is in? I'm in!! I love this. I try to say good morning to every person I see... which is a few people actually, as I live in a busy apartment complex. Sometimes all I need is a smile, so I am sure my neighbors feel the same. Thank you! I try to do it and now more than ever. A smile can totally make a difference, sometimes is all I need too.